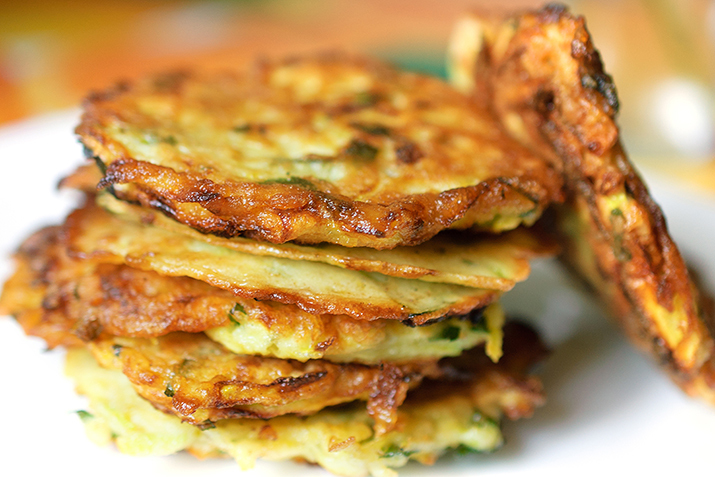 These Chinese street food-style pancakes make a mouthwatering appetizer or snack. Stir dipping sauce ingredients together in a small bowl. Set aside. In a mixing bowl, stir together the flour and boiling water until a ball of dough can be formed. Cover the dough with a damp towel and let it rest for 30 minutes. Cut the dough ball into about 8 equal pieces. On a floured surface, roll out one of the pieces of dough into a circle. Brush with 3/4 teaspoon sesame oil and sprinkle with 1/8 of the scallions and a pinch of salt. Roll the circle, jelly-roll style, into a rope, pinch the ends to seal in the scallions and coil the rope into a spiral shape. Flatten the coiled pancake slightly with the palm of your hand. Repeat with the remaining dough and scallions. In a large skillet, heat the vegetable oil over medium heat. Add one of the pancakes to the hot oil in the pan and cook for 2 to 4 minutes on each side, swirling it in the oil from time to time to promote even browning. When the pancake is lightly browned, remove from the pan and hold on a plate in a warm oven until all pancakes are cooked. Cut pancakes into triangles and serve with dipping sauce. The Chinese “street food” version of these pancakes are often served for breakfast, but are more often served as an appetizer in North America. For a softer pancake, add a bit more water to the dough; you can substitute fresh garlic scapes for the scallions for a different flavor.